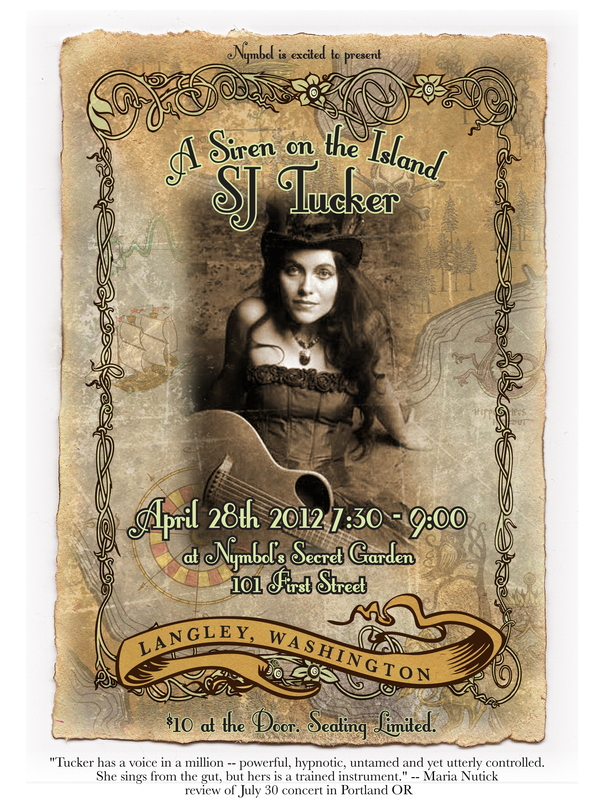 Nymbol’s Secret Garden is Soooooooo happy to announce that SJ Tucker is coming to play in our little studio this coming Saturday night. We have room for about 40 folks to sit down and enjoy an amazing evening with one of our favorite friends from FaerieWorlds. I can’t begin to tell you how awesome this is going to be. Tickets are $10 at the door to be collected by some Wee Faerie. Get there early to enjoy a little banter and Sound check between Nymbol’s Troupe and SJ. We are shooting a little the night before and hope to do some more with everyone else there too. It’s gonna be good. Any questions,.. ask here or email us at nymbolssecretgarden@whidbey.com. ← Going to the Faire.